Attention bike lovers! 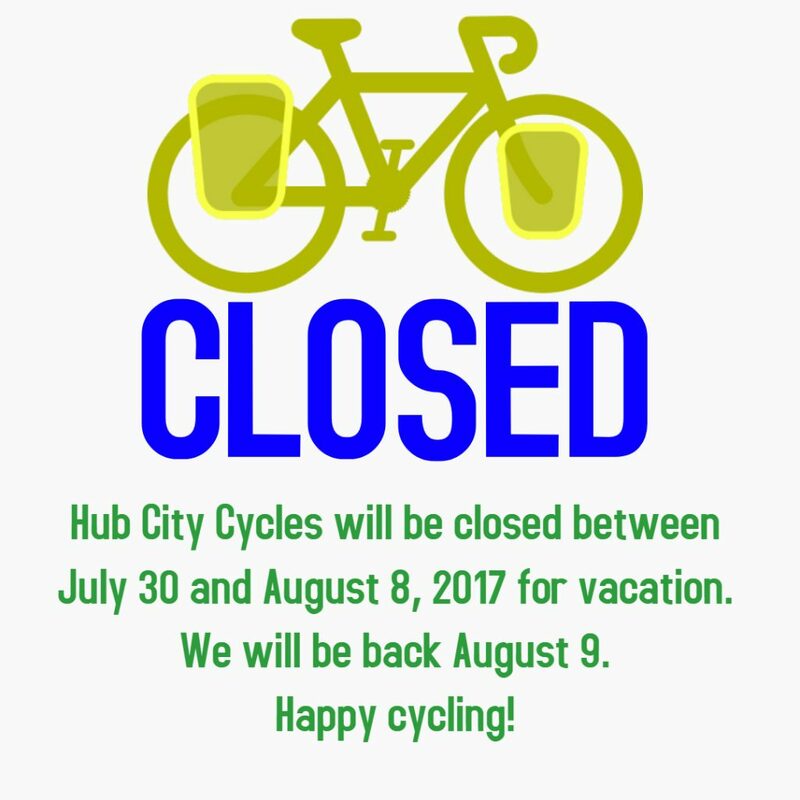 Hub City Cycles will be CLOSED the week of July 30-August 8. We’ll be back on August 9th. If you need sales or service, there are a number of excellent bike shops in Nanaimo. Visit any one of them for great people and service.